Bath time is a firm favourite part of the day in our house. It’s a great opportunity for the kids to play and soak away the busy times from throughout the day. 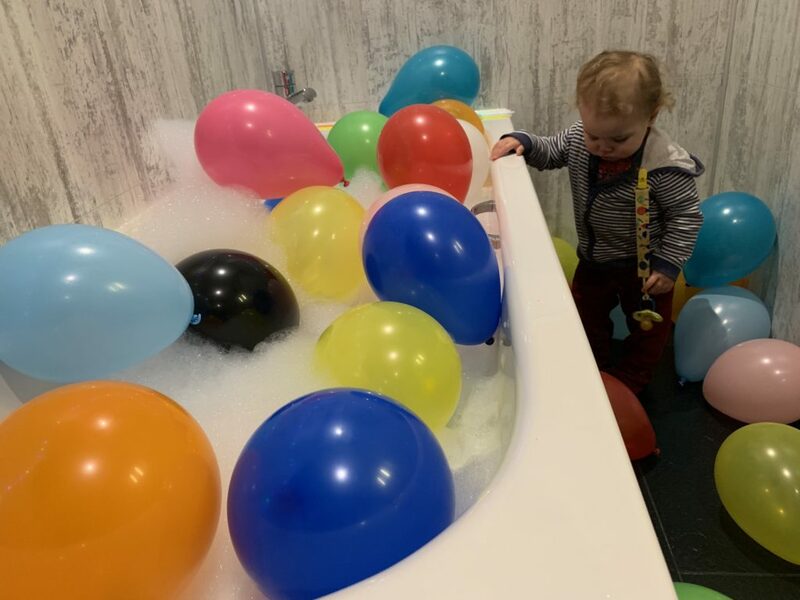 And on occasion, they love nothing more than a themed bath time! 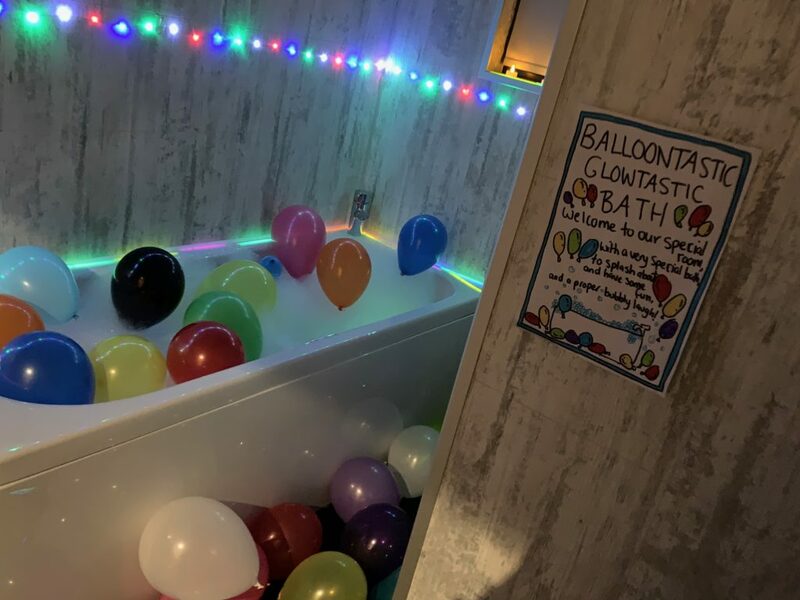 It’s also a great time to create special celebratory fun, the children love a birthday bath. 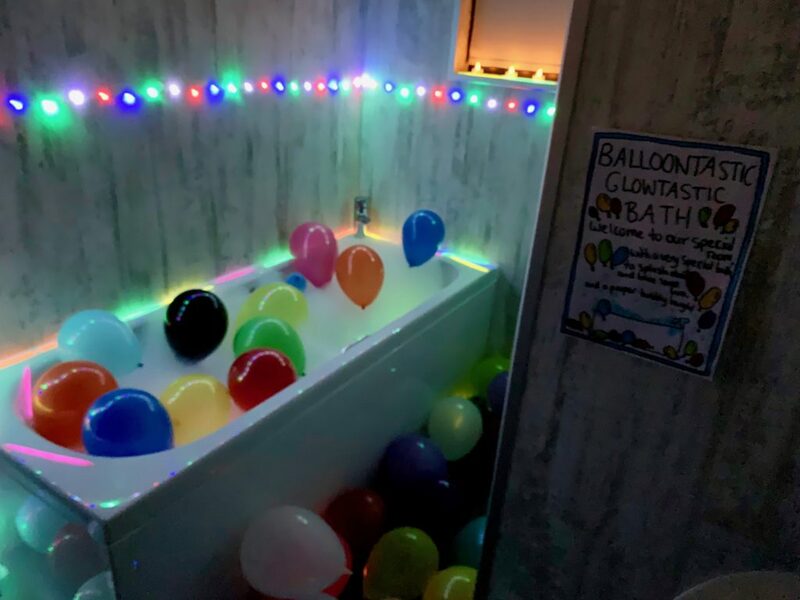 With this in mind, we decided to make a recent stay away a little bit more fun by creating a glowtastic balloon bath. 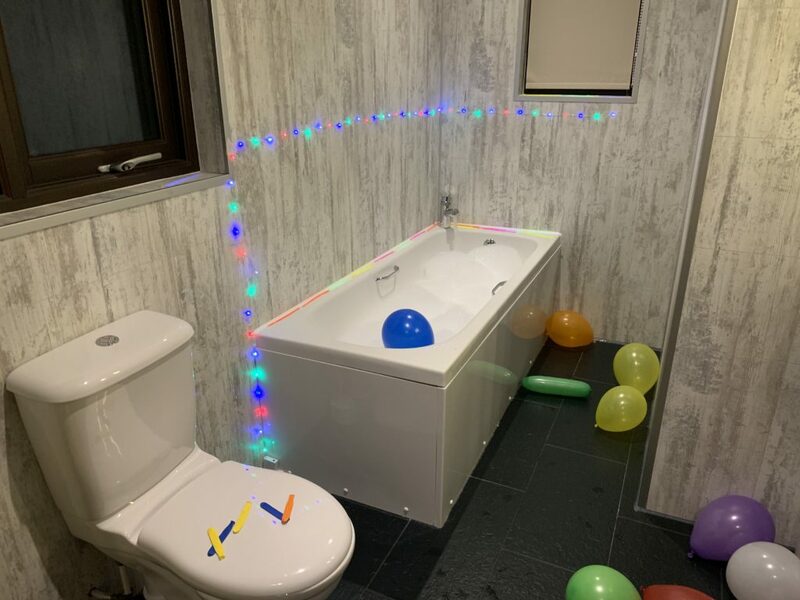 And it was an even more welcomed activity as it wasn’t our own bathroom! 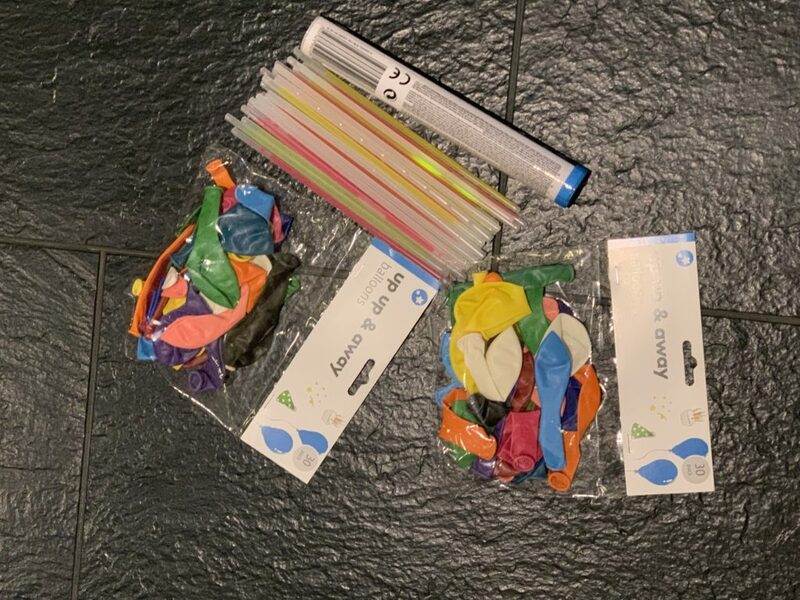 I stocked up with some glow sticks and balloons from a local pound store, along with some battery-operated fairy lights which I already had in our crafts and activities drawer. I used sticky tape to attach the fairy lights to the wall (making sure first that the tape would remove easily without leaving any marks or peel any paint). 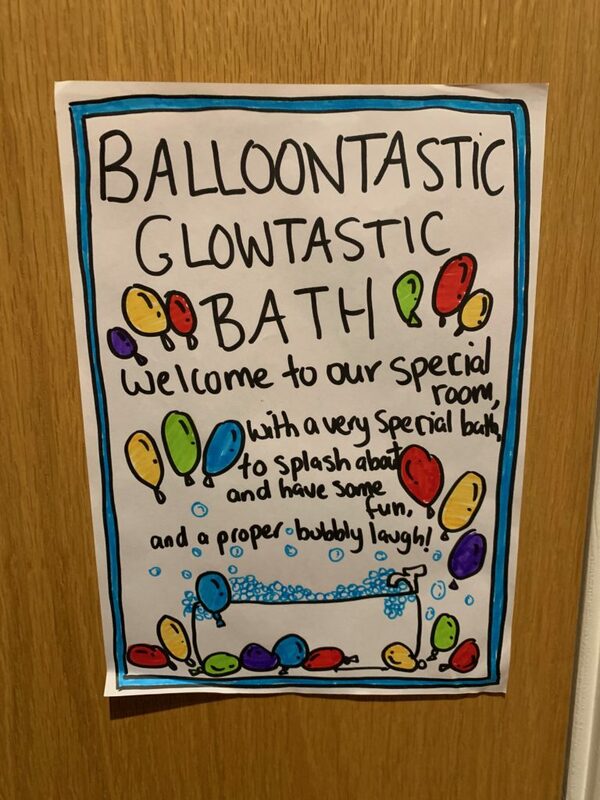 We then ran a bath with a ton of bubble bath and blew up a mountain of balloons. I made a fun sign for the wall using a permanent marker pen to avoid any pen running in the steamy environment. 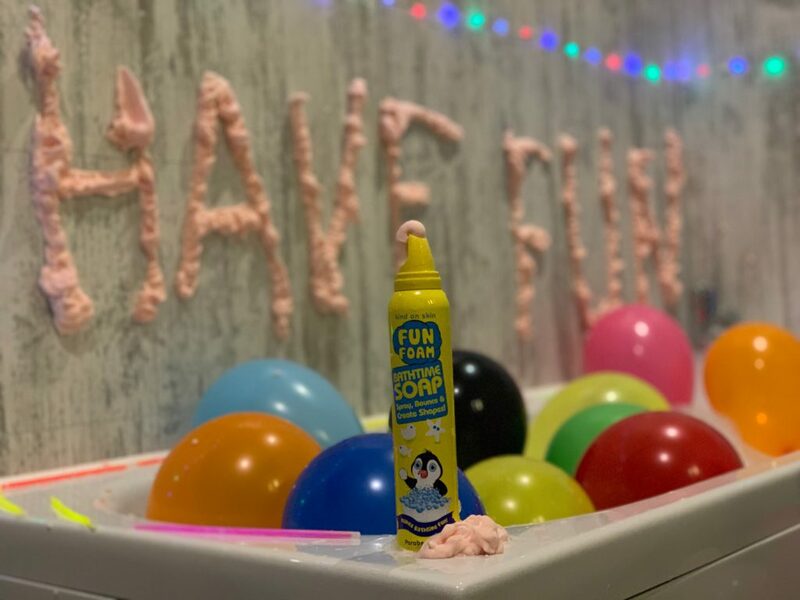 For extra fun, we added a can of mouldable soap, again purchased from pound stores. And that’s it. Simple and good clean fun. **Please note, that whilst its common sense, never leave a child unattended in a bath. Do you follow our everyday fun over on Facebook? 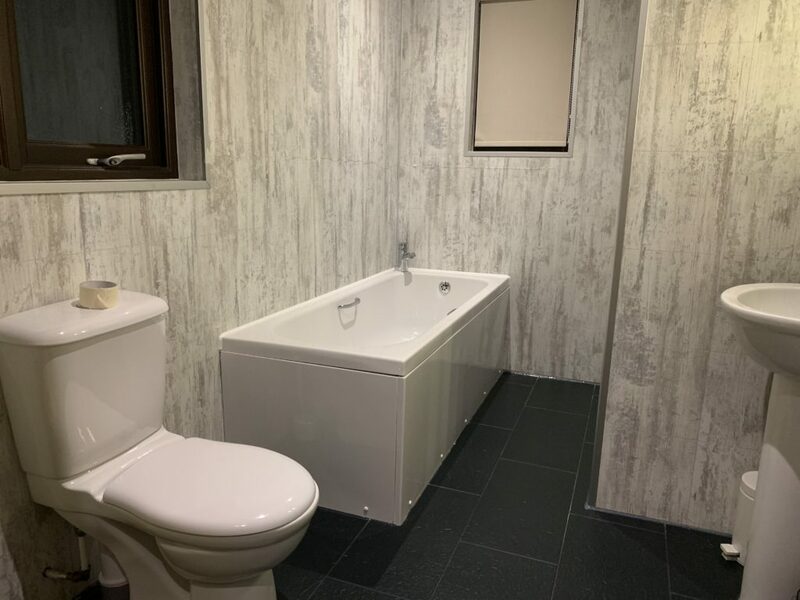 Filed Under: Themed Bath Tagged With: bath fun, Bluestone, sensory ideas.